Beat The Gush Roadshow in Johor! Calling all people who live in Johor Bahru! It is your chance to experience a wonderful treat from Kotex Malaysia. 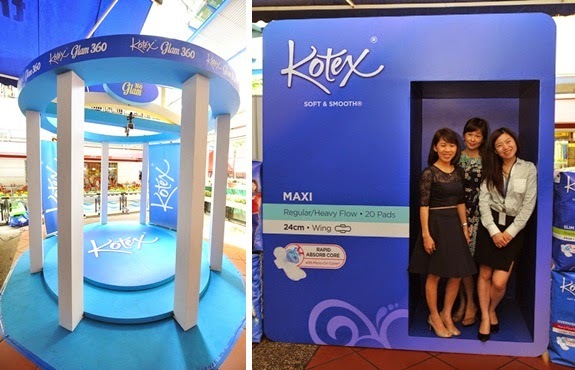 Kotex Malaysia is bringing the “Beat the Gush” roadshow near you. You will get to see directly on the new Kotex Soft & Smooth experience! Be the celebrity of the day by taking a 360 photo! You know the one that takes photo around you and give you this really cool 360 effect like celebrities always does! There will be also lots of fun and game and yeepp! Prizes to be won waiting for you! ‘Beat the gush” is a common thing we use to experience but just hates when it happens! It will give us an unpleasant feeling and definitely will give you a bad mood. I hate it! It make me feel unconfident. There is where you have to check out the new Kotex! This campaign are also in support by confident women such as celebrity Diana Danielle and Qistina Shah a popular Instagrammer & Low Ngai Yuen from WOMEN:girls, a non-profit platform to empower women and girls to acknowledge their potential and realise their dreams. MARK YOUR CALENDARS!